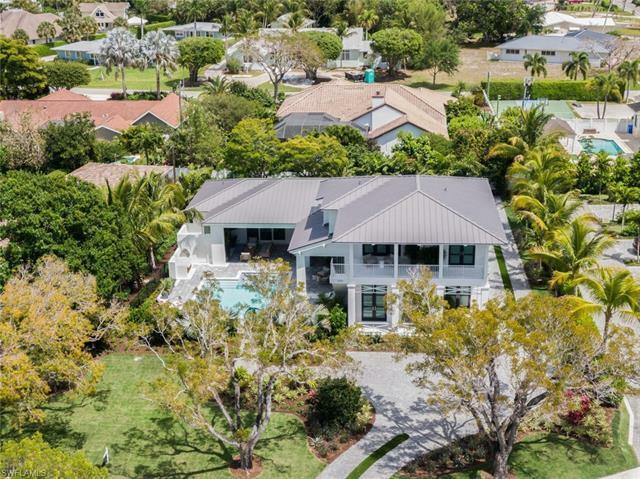 1430 Crayton Rd, Naples, FL.| MLS# 218069447 | Bonita Springs, Estero, Naples, Fort Myers Beach FL Real Estate | Marie Pimm PA Realtor. Representing U.S. and International Buyers and Sellers in the purchase and sale of investment or personal property. Marie is a skilled 1031 Exchange Realtor. Another Masterpiece by the team of Naples ReDevelopment and Harrell & Co Architects. This 4 ensuite bedroom home has an ensuite study that can be the 5th bedroom, 5 full baths plus a half bath, 1st floor master suite and open great room plan oriented around the peaceful serene outdoor space. Solid Maple cabinetry surrounds the Subzero & Wolf appliances in the open kitchen and the wet bar. Legno Bastone wide plank wood flooring throughout the home compliments the stunning finishes selected by Kelly Godsey Design. Andersen and WinDoor windows and doors open to the outdoor living, which includes 1, 300 sq feet of covered living, dining, gas fireplace, built-in grill & cabinets, plus a sunning area and a turf pad all overlooking the picturesque pool, spa and fire bowl feature. The 2nd floor has a western facing veranda which overlooks the landscape designed by Outside Productions. Located 1 block away from the Gulf of Mexico and Lowdermilk Beach Park. This spectacular home of modern elegance is scheduled to be completed in March, 2019.